Gerald C. Hsu received an honorable PhD in mathematics and majored in engineering at MIT. He attended different universities over 17 years and studied seven academic disciplines. He has spent 20,000 hours in T2D research. First, he studied six metabolic diseases and food nutrition during 2010-2013, then conducted research during 2014-2018. His approach is “math-physics and quantitative medicine” based on mathematics, physics, engineering modeling, signal processing, computer science, big data analytics, statistics, machine learning, and AI. His main focus is on preventive medicine using prediction tools. He believes that the better the prediction, the more control you have. 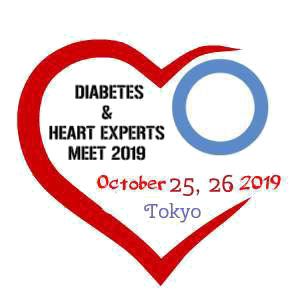 Dr.Ravi kant is currently working as an associate professor and head, division of diabetes and metabolism in the department of medicine at All India Institute of Medical Sciences, Rishikesh. He has developed the department of medicine at AIIMS Rishikesh. He obtained fellowship in diabetes from CMC Vellore and from Harvard university .He is currently the Harvard course director for the certificate course in diabetes in India. He is also currently the secretary, South East Asian Foundation and the editor of South East Asian Medical Clinics .He is international advisor to the journal of diabetes and endocrine society of Nepal and also journal of public health and holistic medicine.